The “ice bucket challenge” is sweeping the nation. There are an amazing number of famous people getting dumped on with ice water to raise awareness of ALS, Lou Gehrig’s disease. Some not so famous people are doing it, too. 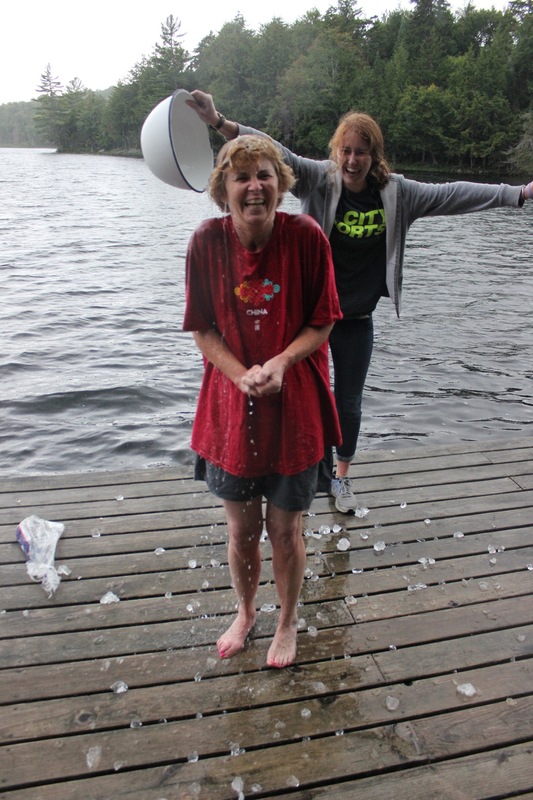 Here’s my wife Rita shortly after our daughter, Bridget, doused her on the dock of our cabin in the Adirondacks.